So last night I cut out the fabric for the apron pattern that I picked up this past Fall… and I did a little sewing… I stopped sewing after putting on the edge binding because I had missed cutting out one of the pieces and it was getting late… so I cut out that missing piece when I got home from work today… I’ve been working away all evening and here is the end result!.. Eeee!.. 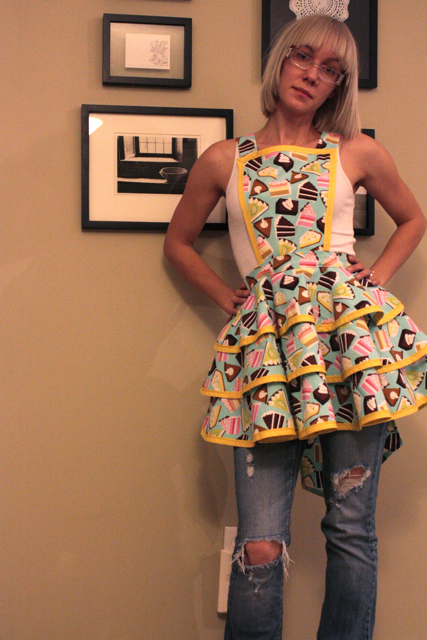 I love how it turned out… it was such an easy pattern and sewed up quickly!.. I’ll have to do some baking this weekend to put it to use!.. Now to go put the heated blanket on the bed!.. it was -30 outside this morning!.. no joke!.. -30 degrees Celsius!.. Um… BRRR!.. Love the fabric and the frills, Looks great! 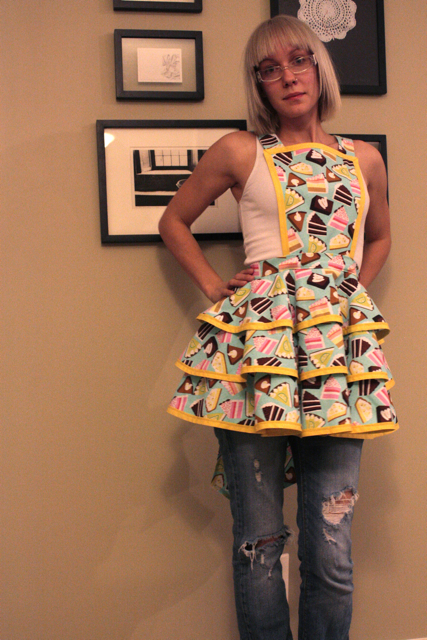 Have a Happy Thanksgiving and enjoy your baking in that cute apron! Minus 30? Oh my word, that is quite unbelievable! We are quite the opposite here today, probably about 30 Celsius. Your apron is fabulous. Great job! 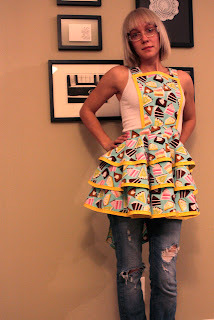 I’m totally late to the party on this one, but I LOVE YOUR APRONS! You need to make and sell them. Because I want one. Love all of your aprons especially this one above. Can I buy it anywhere?